Cora Fernandez was the Chief Executive (CE) of Sanlam Investments (SI) Institutional Business since 2013. She was responsible for expanding SI’s presence and market share in the Institutional and Corporate market. She was responsible for managing a portfolio of 126 Institutional Clients (Pension Funds, Retirement Funds, Provident Funds, Trade Unions and Corporates), which have collectively invested R190 billion across various asset classes with Sanlam Investments. She was a member of the Sanlam Investments Executive and served on the Board of Sanlam Investment Holdings, and various subsidiaries of the Sanlam Group. Previously Cora was Managing Director of Sanlam Investment Management (SIM) for two years. SIM is a multi-specialist investment management business and one of the largest asset management companies in SA. Before joining SIM, Cora was the Chief Executive Officer (CEO) of Sanlam Private Equity (SPE). Cora entered the private equity industry in 2001 with Ethos Private Equity. She is a qualified chartered accountant and served her articles with KPMG in Johannesburg, after obtaining her BCom degree from the University of Cape Town, and a BCompt Honours degree from the University of South Africa. Cora is Director of Sphere Holdings and Chair of Sphere Holdings REMCO. 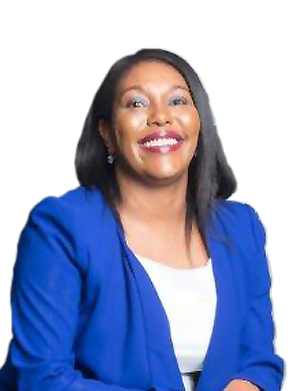 She has previously served on the board of the South African Venture Capital and Private Equity Association (SAVCA) for two years and was elected as Chairperson. Cora is a member of the SA Institute of Chartered Accountants (SAICA). In 2006, Cora was awarded the top private equity deal maker award by ABSIP and in 2008 she was a recipient of the Sanlam CEO’s award.